A week-long celebration of Scandinavian design in the Swedish capital - Stockholm Design Week brings design exhibitions and installations to venues across the city. First held in 2002, Stockholm has cemented itself as the most important event in the calendar for discovering the best in Scandinavian design. An annual trip for the team at Nest, the 2019 event was held between the 4th-10th Feb and it was an extra snowy affair. Our CEO Christian and our Purchasing and Brand Liaison Manager Kasia, braved the cold weather to travel to Stockholm for 3 days of exceptional design and fantastic food. 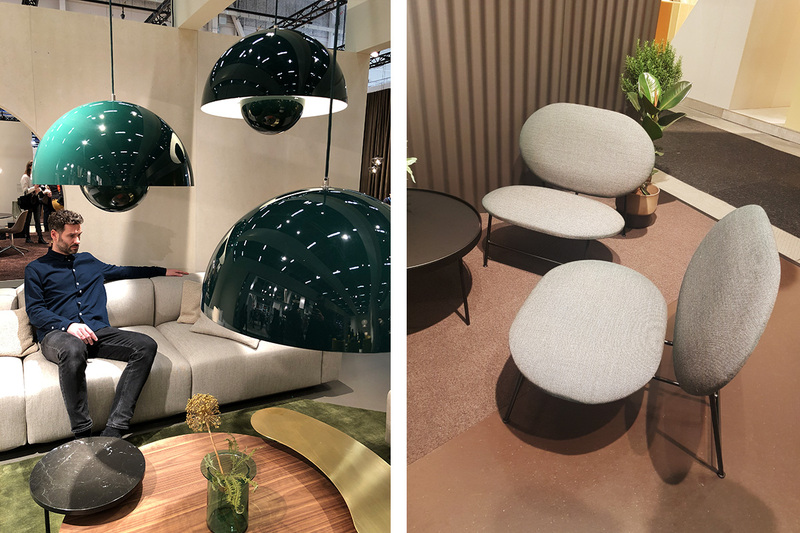 The main event of Stockholm Design Week, Christian and Kasia spent their days at the Stockholm Furniture and Light Fair, becoming absorbed the latest releases from our favourite furniture brands. Courtesy of Ferm Living and Menu, the evenings were filled with gastronomic delights – indulging in excellent Thai food and feasting on a six-course tasting menu at the fabulous Nisch restaurant. 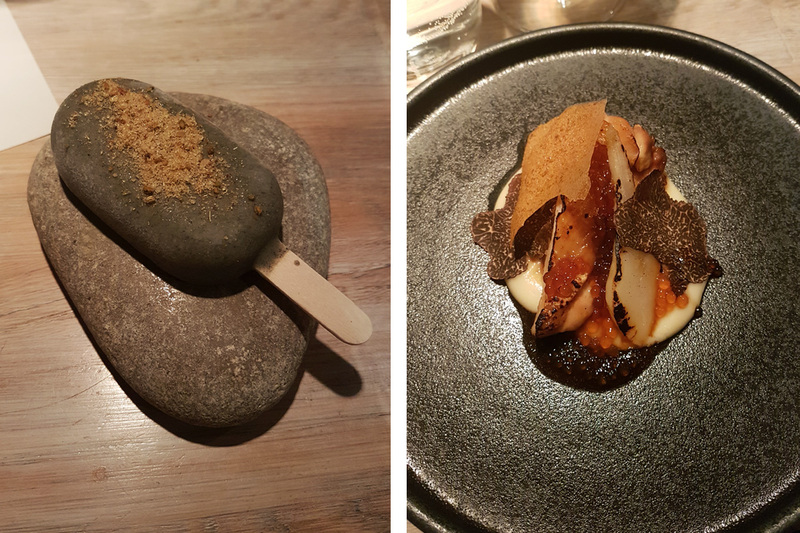 Two of the delicious dishes from Nisch - liquorice, fennel and salt ice cream and chicken with Jerusalem artichoke and truffle. 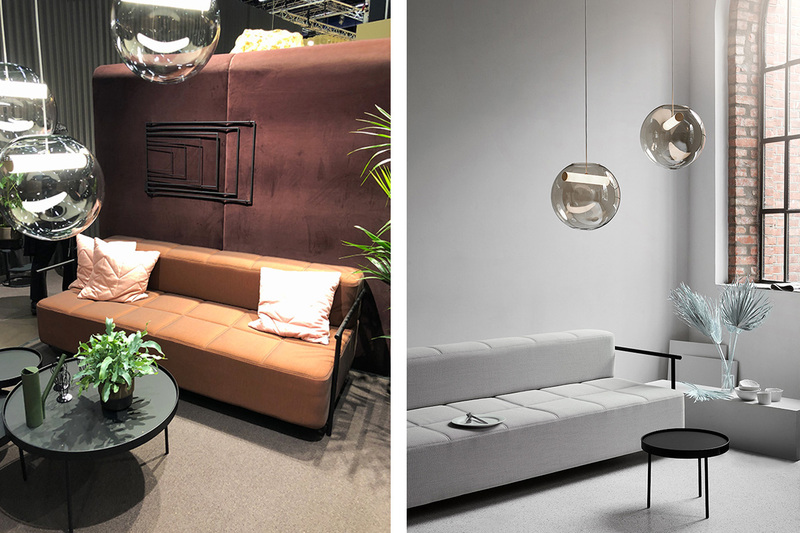 Fresh from the fair – we take a look at some of Christian and Kasia’s stand out designs from Stockholm 2019. From luxurious velvet chairs to unique lighting - here’s our round up of the best in emerging classics. 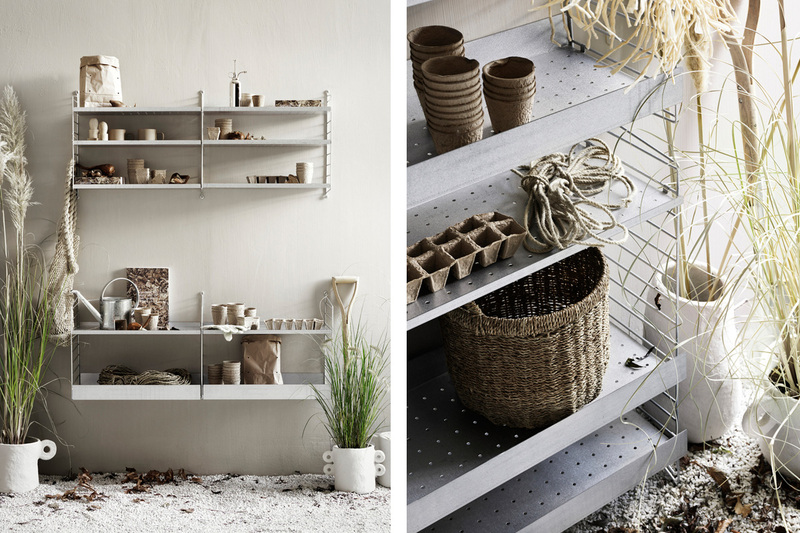 The pocket shelving system from String is a firm favourite at Nest for its flexibility and adaptable modular design. Use a singular unit as striking bedside storage or combine a few together to create a unique bookshelf – the possibilities are endless. 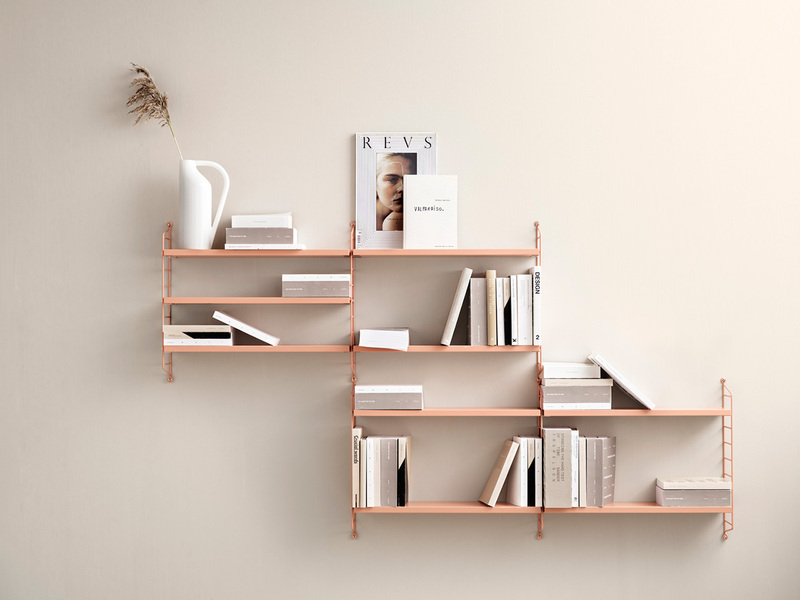 In a new blush coloured finish, the new string shelving designs really caught our eye. 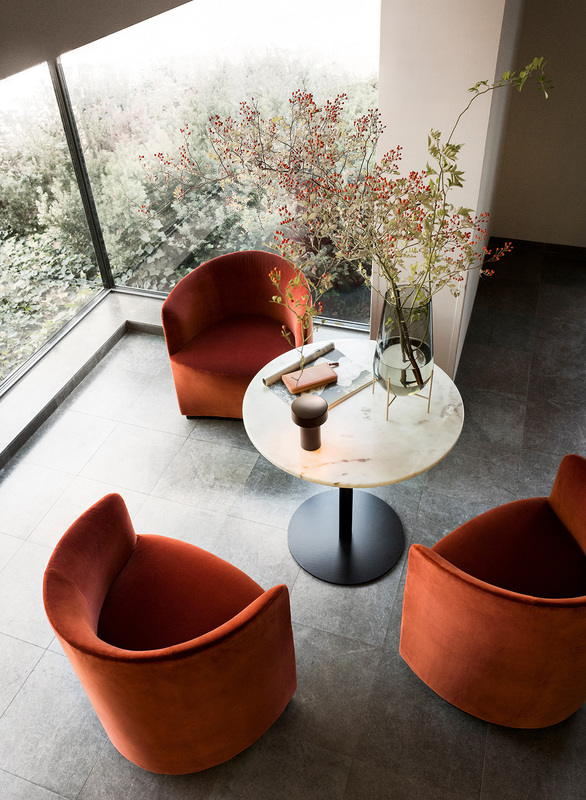 Inspired by Charles Renee Mackintosh’s 1904 Willow Chair design; Scottish designer Nick Ross has created the Tearoom Club Chair for Danish brand Menu. A curved cocoon of lush comfort, the chair is finished in stunning deep orange, city velvet. As a dining chair or an occasional chair, we can’t wait to see this design featured in future projects. From Northern’s latest collection comes the Reveal Pendant Light – a mouth-blown glass shade that balances over a striking LED light bar. Designed to hang in clusters, we thought they looked stunning as part of the display in Stockholm. &Tradition have re-launched this 1963 design from Danish architects Kastholm & Fabricius. 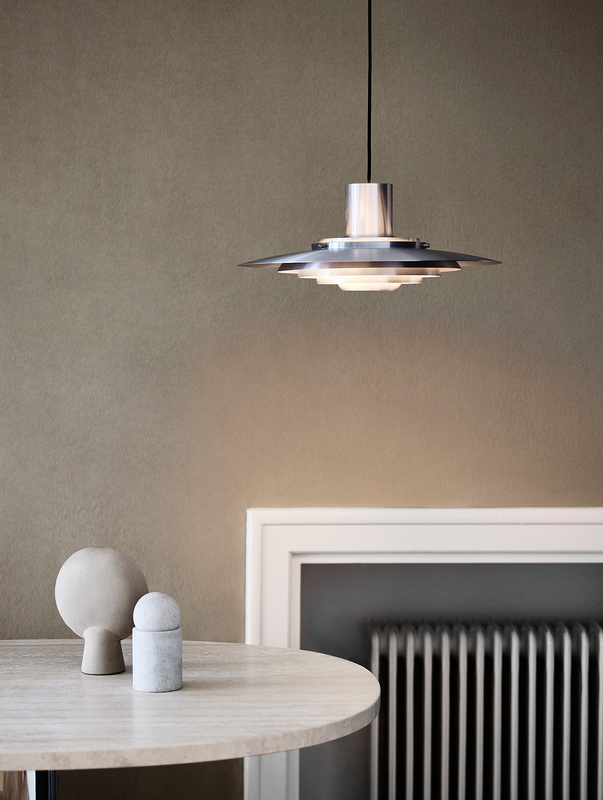 With five concentric shades, the P376 is a striking, sleek pendant that embodies modernist minimalism. Available in either pure aluminium or white, we’re excited to add this beautiful pendant to the Nest collection. The best bit? The above designs are ready to shop at Nest.co.uk today. Noctambule: the night owl or reveller. Certainly true of this statement light collection for Flos – the hand-blown glass modules are almost invisible in daylight but turn into glowing sculptures when turned on at night. 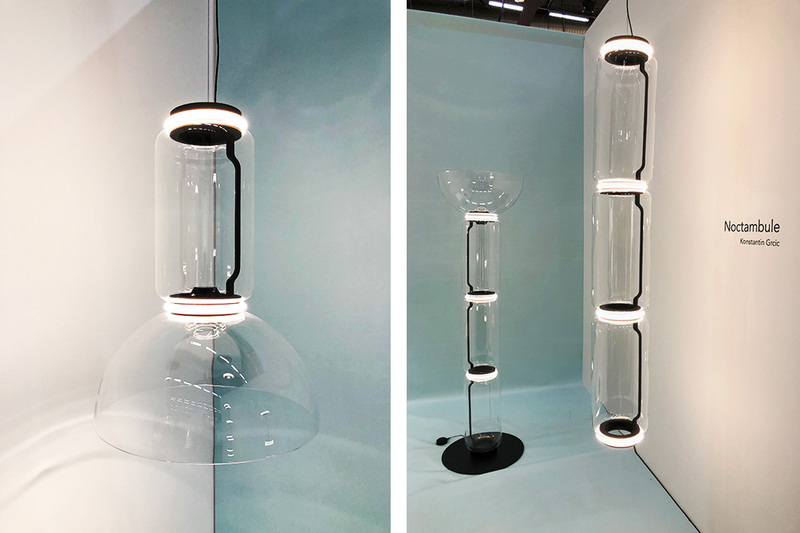 From designer Konstantin Grcic, these lights make use of LED technology at the junctions between the modules. After 70 years in business, String has released its first outdoor line. In a new galvanised finish, the String outdoor shelving is water resistant and a great way to get your garden organised – perfect for green-fingered souls everywhere. 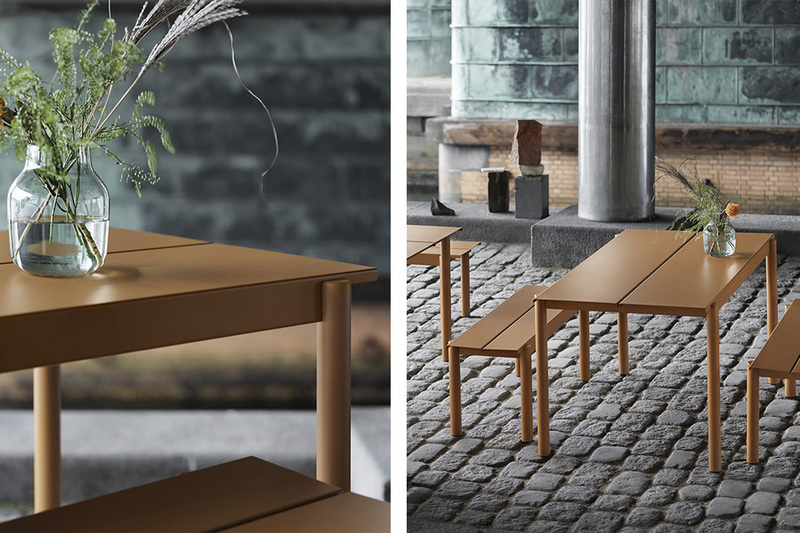 Muuto has also launched its first collection of outdoor furniture in the Linear Steel collection. Featuring four different colour finishes, these metal tables and benches are both fun, practical and make us long for summer evenings. Inspired by these designs? Shop all of our new arrivals here. 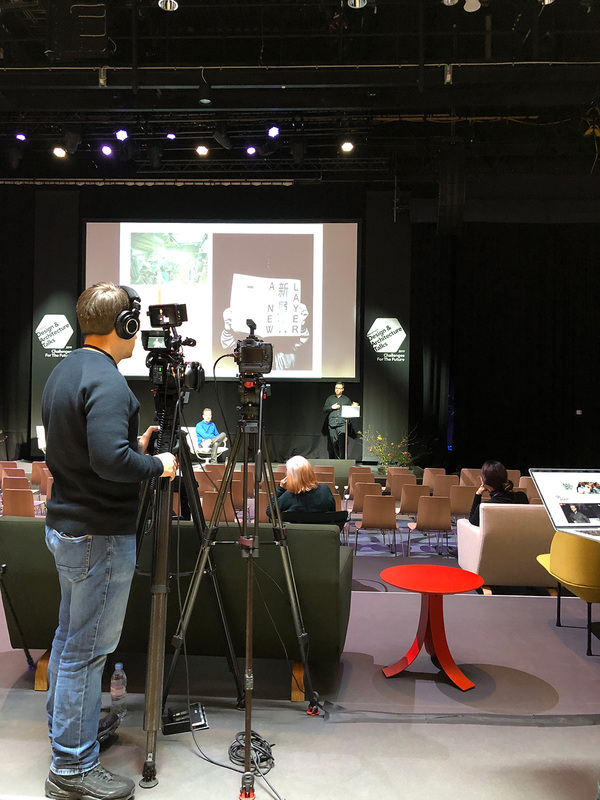 Did you have a favourite moment from Stockholm Design Week 2019? Share your highlights with us on Instagram, Facebook or Twitter.